Often, despite our best efforts to prevent it, harmful bacteria can be present in our drinking water. Bacteria in ground water is becoming more and more of a problem, and some types of bacteria like E. Coli can even be fatal, particularly to younger members of the family. Additionally, sulfur commonly seeps into the water supply, causing it to have a pungent, distinct odor—and while this is not as dangerous, it is certainly unpleasant. When non-intrusive treatments such as ultraviolet light do not work to remove bacteria and/or sulfur, or when state law requires it, we recommend a chlorinator. What does a chlorinator do? Kills all harmful bacteria within seconds of contact, making your water completely safe to drink. Removes unpleasant sulfur odor from the water, so you and your family can drink and bathe in it with confidence. But isn’t chlorine itself unsafe? How do you compensate for that? That’s a fair question. Yes, chlorine is considered unsafe to ingest, especially in larger amounts. (Municipal water supplies often use so much of it that the water smells and tastes bleachy.) Studies have shown that chlorinated water increases your chances for contracting cancer. Unfortunately, though, sometimes adding chlorine to the water is the only effective way to neutralize harmful bacteria. We only install a chlorinator when we have no other choice. Our first line of defense is to use ultraviolet light to kill bacteria, but sometimes this is not completely effective. Also, if you are supplying water to a camp or other public space, state law requires the water to be chlorinated. In situations like these, a chlorinator is our only option. If we use a chlorinator, we also install a carbon filter further down the line. This removes the chlorine from the water once it has killed the bacteria, so the chlorine is no longer present in the water once it reaches your tap. 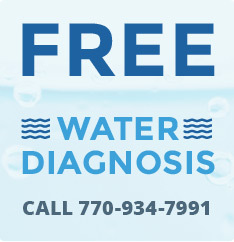 For a free, no-obligation diagnosis of your water supply, call Metro Water Filter for an appointment at (770) 934-7991 or click on our Contact Us page.